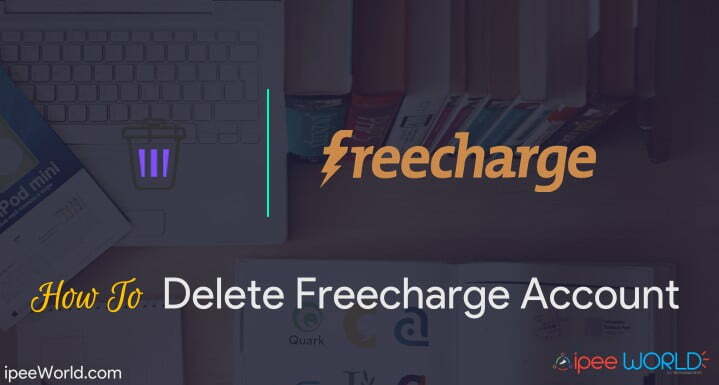 Delete Freecharge Account if you no longer want to use FreeCharge and its services, you can anytime Delete Freecharge Account by doing a simple trick. Whatever the reason maybe, You want to delete your FreeCharge account, then follow the below given guide. FreeCharge is one of the top and much popular Online Recharge and Mobile Wallet Service in India. Their service is good and for any reason, if you want to delete FreeCharge Account, you can do it. Recently they introduced the Virtual Debit Card service and Mobile Wallet for enhancing their services. However, we can even say that FreeCharge is one of the top 5 Mobile Wallet and Recharging sites in India. Thousands of people use FreeCharge daily for recharging and send/receive money through the FreeCharge wallet. Now, what will you do to Delete FreeCharge Account for any reason? Yeah, that’s exactly why you are here. As like Facebook or Twitter, FreeCharge doesn’t offer us an option to Delete Freecharge Account within their site. If you want to delete your Freecharge account, then you must contact them through direct Email. Now let’s check How to contact the FreeCharge Support team and Delete Freecharge Account. As told earlier, you need to contact the FreeCharge support team via Email to get in touch with them, let’s see how. 1. Login to your Email Service. 3. Now write an Email to their support team. You can explain why you are leaving FreeCharge. and request them to get you out from their service. As soon as they receive your Email, they will Delete FreeCharge Account and send an email back to you like one below. Now you have successfully opted out from FreeCharge and its services. Before contacting the FreeCharge Support team, make sure that you don’t have any balance left in your account. If you have, consider using it than simply wasting. You can do online shopping or recharge using the amount in your FreeCharge account. See How simple it was to delete your FreeCharge account by sending a simple email to their support team. Now you have successfully opted out from their services. You will no longer receive any Promotional Emails or Newsletters from FreeCharge. Share this article with your friends on Facebook, Twitter, G+ or wherever you like. Comment down below if you have any doubts.